the easiest recipes I will share, one delicious drink made with three very simple ingredients! You truly only need two ingredients, almonds and filtered water, but can add a third ingredient for more flavor. In my case, I included vanilla extract as my third ingredient. Almonds are among a few of the super foods available to us; don’t be fooled by their high fat content as it’s monounsaturated, health promoting fat aiding cardiovascular health! In addition to the healthy fats, almonds also contain an impressive amount of vitamin E, magnesium and potassium! Walnuts are another great snack for heart health! 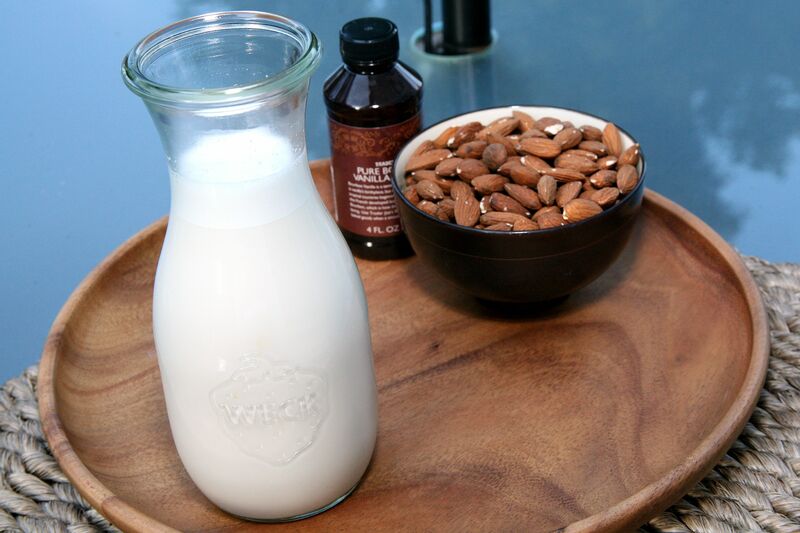 Soak almonds in filtered water (enough to cover the almonds) for 12-24 hours. Blend almonds and water for 2-5 minutes until smooth consistency is reached. Add vanilla extract and blend for another minute. Finally, pour your milk into a container you can seal tight and store in the refrigerator for up to 5 days. Shake before using; it will naturally separate in the refrigerator. 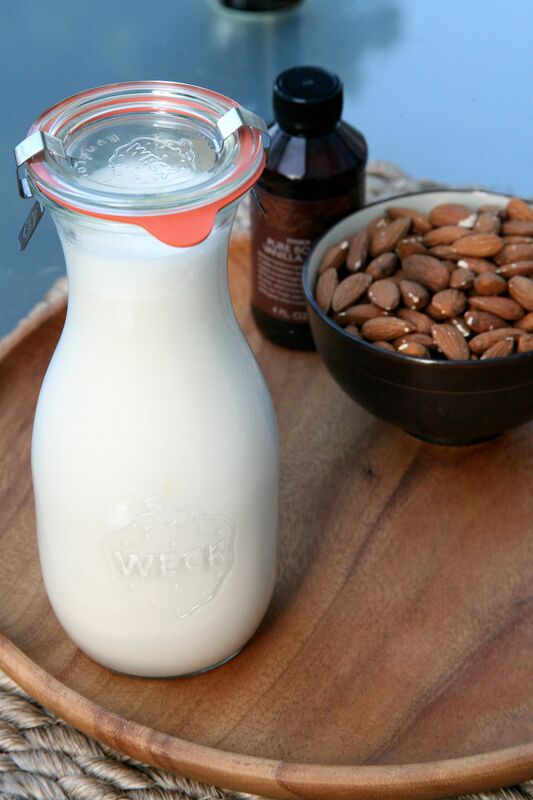 *The leftover almond meal in your nut milk bag can be used to make another, weaker batch of milk. I’m planning to research other uses for this as it’s a shame to waste; I’ll update you soon on my findings! Already know a great use for the leftover almond meal? Let us know! !